I just love photographing seniors. Its such a fun way to celebrate all the hard work it takes to get to graduation. 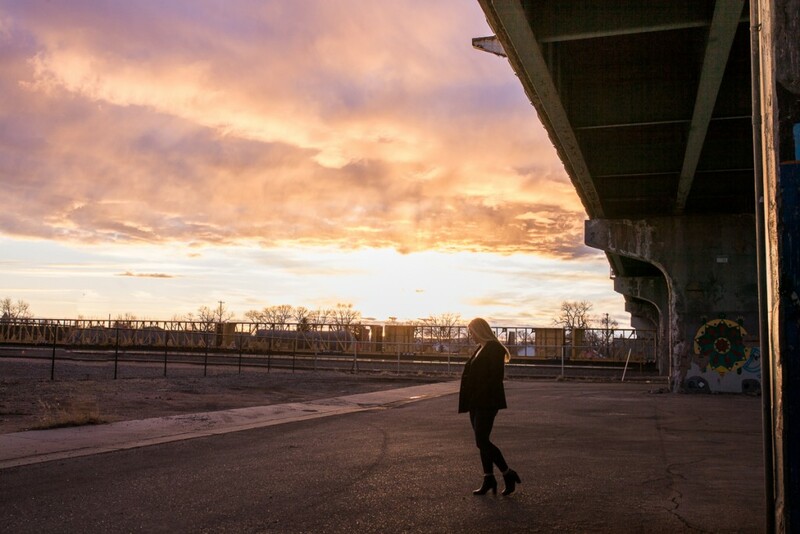 On top of that, Laramie has some amazing locations for portrait sessions.. and not to mention some stellar sunsets! Here are some of my favorites from Lauren’s senior portrait session. I just love all of the unique and charming corners around downtown Laramie. Murals, graffiti, and historic old-world charm make the perfect backdrops for any type of photography. After wandering the downtown alleys we noticed that the light on the walking bridge was nearing perfection as the sun was dipping below the clouds. Lauren’s got an amazing style and even more gorgeous personality. We had so much fun, laughing, dodging pedestrians, and trying for that perfect ‘Shampoo Commercial’ hair flip. I’ll end with this beautiful sunset over the railroad at Laramie, Wyoming. great job Megan! what a lovely girl with lovely photography of yours! I’m sure you are getting busy in WY as the spring is here now! What a stunning senior! 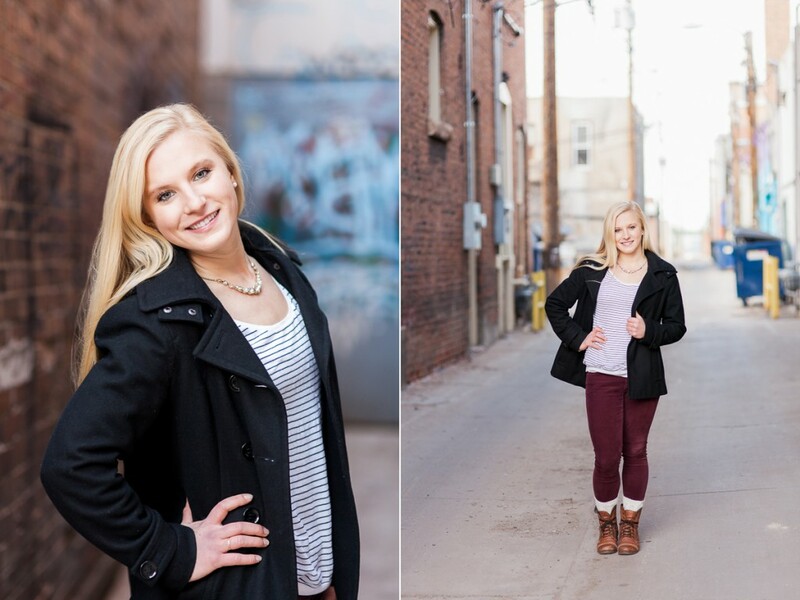 Downtown Laramie looks amazing and like it was the perfect location for her senior portraits! Beautiful work! 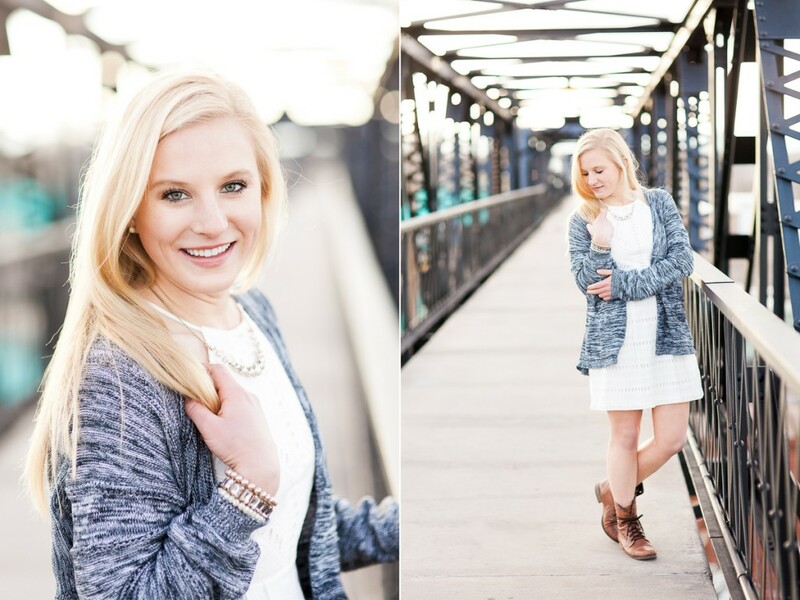 What a stunning senior from University of Wyoming! All of these locations in Laramie are to die for! She has so many different images to look back into! 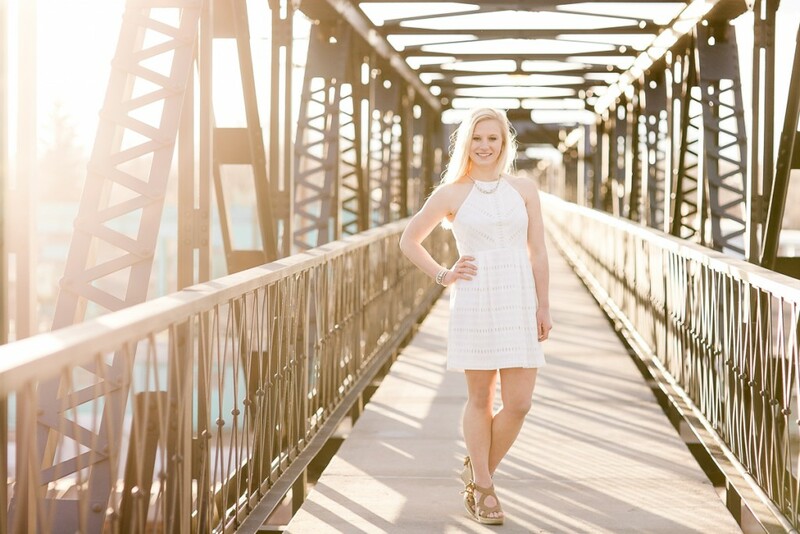 The backlight on the bridge images is just stunning in these senior portraits. She looks so radiant and pretty! And you did an amazing job capturing her in downtown Laramie. What a beautiful senior girl! 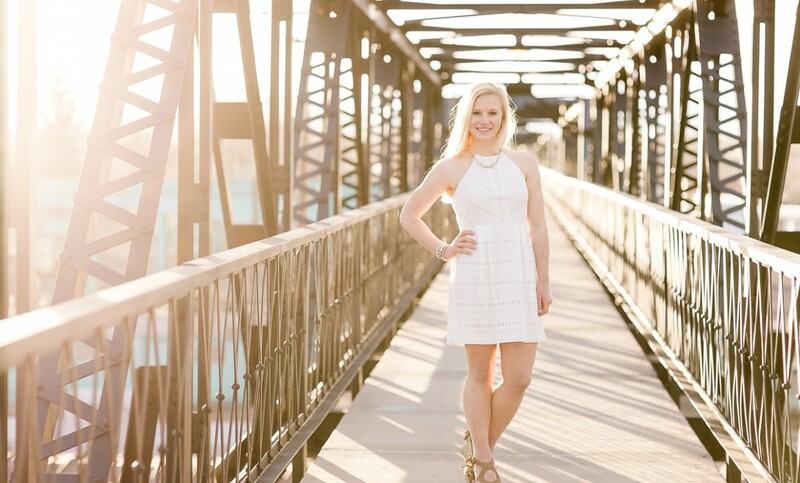 Laramie, WY looks like the perfect place for a senior photography session. There is so much variety! Lauren is gorgeous! I love that she had a college senior portrait session done. 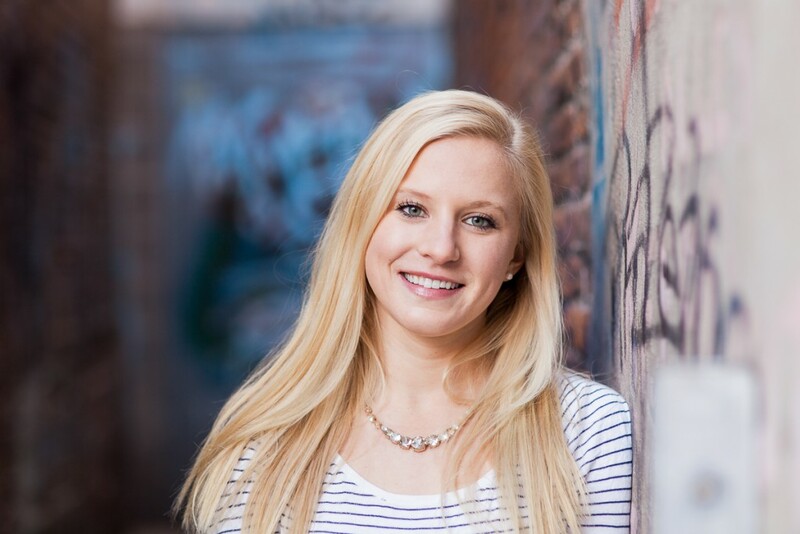 That is typically a neglected time of life for portraits! Downtown Laramie really does have a great variety of backdrops for a photo session. These are all just beautiful! This is a fresh and breezy feeling senior portrait session! I like the contrast of the industrial type backgrounds of Downtown Laramie against her more relaxed and causal style. Looks like Laramie has some gorgeous spots for senior photos! What a beautiful girl, wishing her all the best in her senior year. I had no idea that Laramie WY is so urban and cool! This location is perfect for Lauren’s Senior portraits. I think it really shows her beauty against the industrial city setting. The last image against the sunset really is poetic though. She’s about to start the rest of her life as the sun sets. Gorgeous! 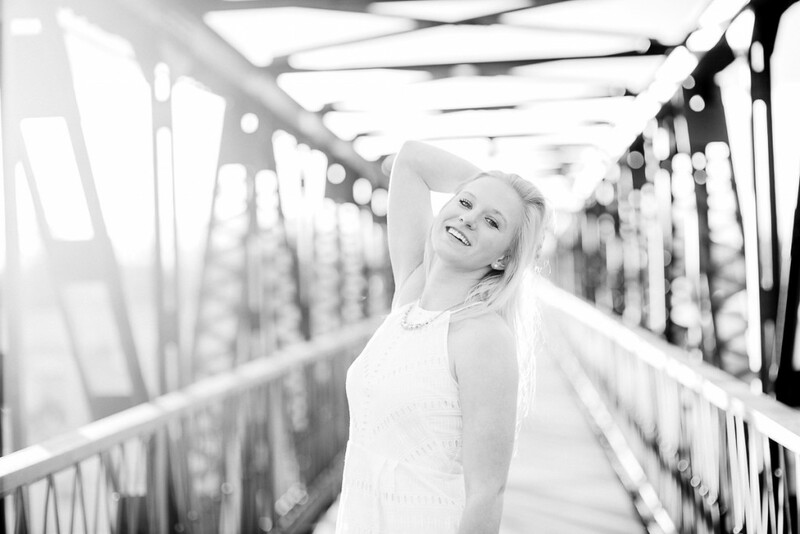 GORGEOUS senior session! I especially love the images on the bridge and the teal stairs. You provided such a wide variety of images for this Laramie senior. The lighting is absolutely perfect and I like your posing! She looks amazing and I bet you made her FEEL amazing! Beautiful work Megan Lee Photography! 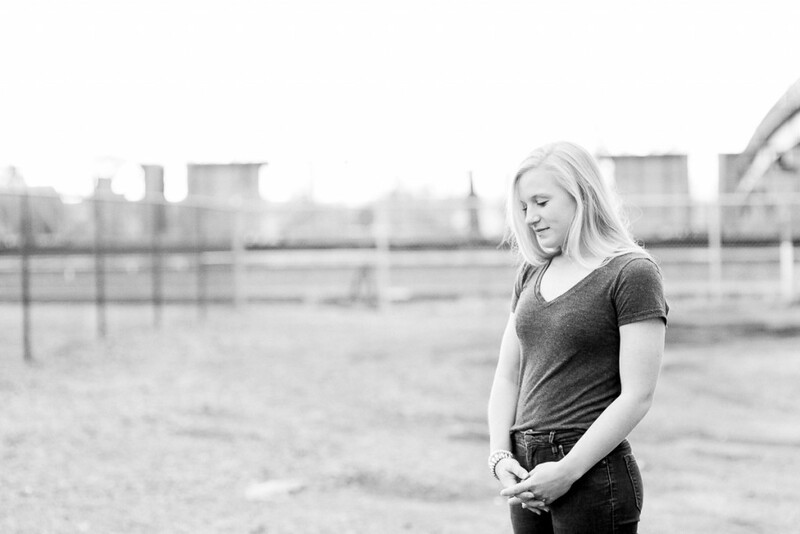 Downtown Laramie WY was the perfect backdrop for this urban senior photo session. Lauren is such a beauty, too! I loved the series of her on the bridge, the lighting in them were heaven! I know this soon to be graduate is thrilled that she picked Megan Lee Photography for her Senior Photographer!